Thinking of becoming a yoga teacher? It is a practice developed over time. Thinking of becoming a yoga teacher? From a physical standpoint we began each Saturday and Sunday morning with yoga practice. Whether our bodies wanted to or not. There was a lot to learn about honoring your body. We quickly learned that there is so much more to yoga than just the asana, the physical practice. It didn’t matter if you could do the most advanced poses, what mattered was that you truly love yoga. From a mental standpoint, we learned how to deepen and enhance our practice and our lives with breath/pranayama and meditation. You learn that you avoid meditation because there are things that you need to confront but continue to suppress. The entire training experience was a process of self discovery, digging deeper and deeper into your soul. This all happened under the mentorship of some amazing teachers. Their presence and wisdom is powerful yet beautifully subtle at the same time. I wasn’t prepared for the strong bond that was created among us five women. We are a yoga family. A piece of each of us was given up and taken in. After 8 months of studying and preparation, it was time. 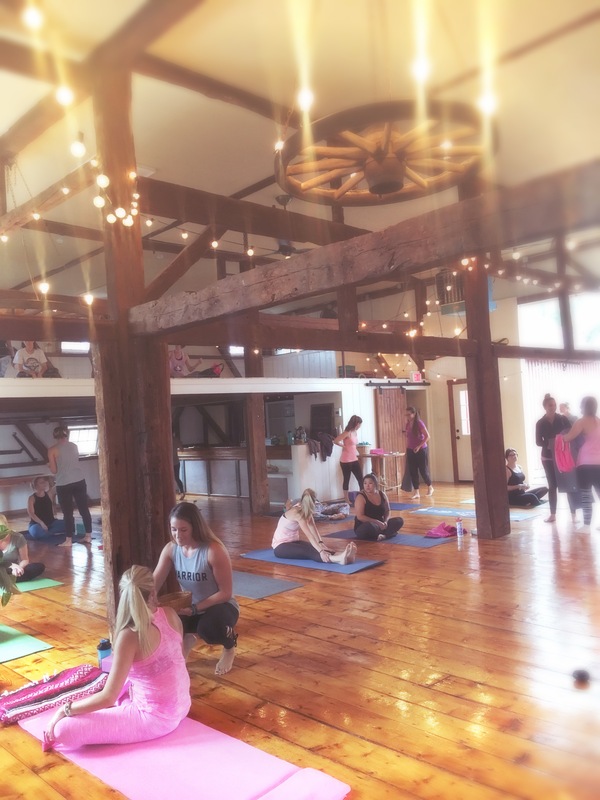 It was our time to share with our community, our teachers, our family and friends what fuels our spirit and that is the practice & the power of yoga. There’s nothing quite like a group of strong women who begin their journey for different reasons but realize they have chosen to study what they’re studying because they truly love it. 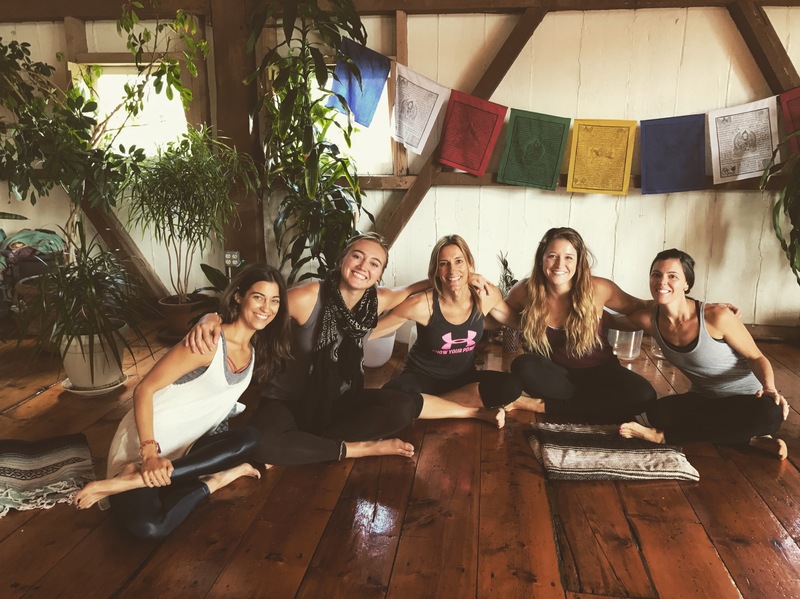 It’s hard to describe in words but some of the most intense feelings before and after our Practice of Warrior Women were inspired, exhausted, loved, exhilarated, accomplished, and empowered. For those who weren’t able to attend, your energy and spirits were felt. We decided against music during the practice so we could ride the wave of energy dancing in the barn and we sure did feel it. We are excited to announce that we raised $554 for Unite for HER! They were established as a nonprofit organization in 2009. Unite for HER’s foundation has been to bridge the gap for breast cancer patients. They focus on wellness initiatives that will positively impact the health of their patients. They also offer support for the health of all women and girls. Their mission is to bridge the gap between the medical and wellness communities. Their focus is on funding and delivering complementary therapies. Therapies that support the physical and emotional needs of those with breast cancer during treatment and beyond. They educate women and the community about the role of healthy lifestyle choices in the prevention of disease and the promotion of wellness. Thank you all for your support, guidance, wisdom, confidence, and compassion for us in our journey. It may be over in the classroom but it has only begun for us out in the world. She is a knit fabric research & developer by day who discovered her passion for yoga 5ish years ago while studying at the Fashion Institute of Technology. She is currently working towards her 200hr RYT at MOYO. Her yoga journey started as a means to escape herself, her past and find her way: the letdowns you can’t predict, opportunities that end up being too good to be true, and moments when you feel like you will never survive another day. Wildly in love, married to her middle school sweetheart, she now knows that everything in life happens for a reason and you are exactly where you are supposed to be in the present moment. 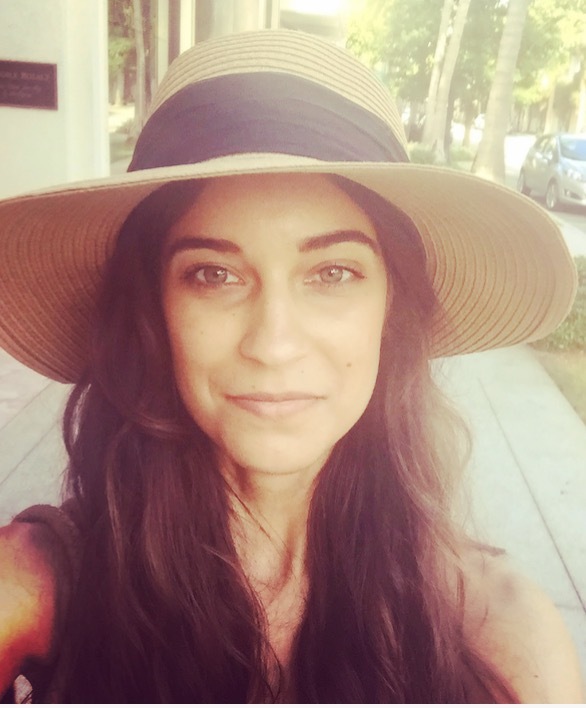 Sharing her passion of yoga, wellness, adventure, and personal style, her mission is to inspire and guide people through her own personal journey and experiences.